What do you expect from your connection partner? - Casino Inside - The gambling industry magazine! What do you expect from your connection partner? Home » General » What do you expect from your connection partner? Syswin Solutions offers IoT and M2M performance solutions through a single, innovative platform that integrates different technologies, communication protocols and sensors to meet the connectivity requirements of companies and institutions operating in the public sector in areas such as: Casino Management System, Smart City, Smart Building, Logistics, Industrial Control, Security and Media. You have stated in the past that the strategy of Syswin Solutions also includes the expansion on the emerging markets across borders. Can you explain the company’s sales strategy? Mihai Mavromalide: Syswin Solutions has always been a company that is looking for a permanent evolution, and this is also reflected in our sales strategy. For us, the Romanian market is extremely important, but it is not a singular interest, as we have a growing portfolio of international clients. 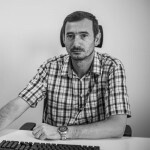 Alexandru Ciutan: Thanks to our flexibility and willingness to adapt to customer requirements, we are increasingly active on the international markets, connecting over 25,000 devices in 4 countries over the past two years. 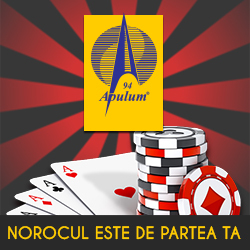 What sets you apart from the competitors on the Romanian market? Mihai Mavromalide: We are a company that always thinks long-term. We want to be the main partner of our customers, and in order to achieve that, we guarantee fixed prices, maintenance, service and support for 1 year or long term, for up to 5 years. In any business field, predictability and transparency are the main elements of a stable and successful partnership, and our vision starts from these premises. international ally in financial services. We assume the vision of our current or future clients in the long run and we stand by them with no hidden costs or unpleasant surprises. What do you think are the strengths of Syswin Solutions? Mihai Mavromalide: A partnership is like a close, long-term relationship in which you commit to meeting the conditions and expectations originally offered. Although many choose to violate this commitment, taking advantage of their partner’s trust by hidden costs or stakes, Syswin Solutions has chosen to position itself as a true, open and stable partner in the long run. 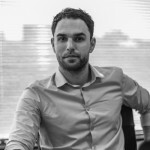 Alexandru Ciutan: We believe that the ideal connection partner is not a competitor of any kind and its only stake in the gaming industry should be to provide efficient reporting services, jackpot solutions, loyalty and security. You have developed recently new products that were presented on Entertainment Arena Expo, as well. Tell us a bit about the new products designed by Syswin Solutions. Mihai Mavromalide: One of our company’s goals is to provide new and updated solutions. We improve our existing solutions on a regular basis, but we also focus on developing new ones to meet the market’s demands. Smart Play & Cash is one of our company’s new products. This cash machine has multiple functions: ensures the security and the safety of financial transactions, it reduces costs by automating payments, gathers information about the state of the ATM and notifies the operator when the cash machine has run out of money. Smart Play & Cash has been designed to function both in the TiTo system, and by using fidelity cards, which lowers the costs for machines without ticket printers. Alexandru Ciutan: Another innovative product is the Smart Info Point, a kiosk dedicated to gambling halls and casinos, that offers players information about accumulated points on the fidelity card and displays a list of prizes from which the players can choose one or more products.